On December 14th, the National Endowment for the Humanities announced that the Historical Society of Woodstock has been awarded an NEH Preservation Assistance Grant for Smaller Institutions. The grant, totaling $6,000, will go to the purchase of archival supplies, materials and equipment to enhance the Society's continued efforts to preserve its extensive collection of photographs, original documents, textiles, genealogies, paintings and drawings. Much of its fine art collection is represented by the works of noted artists created during Woodstock's rise as a premiere art colony. during Woodstock's rise as a premiere art colony. its founders to document, preserve and make accessible to the public Woodstock's unique story. construction of an accessible bathroom and other building improvements currently underway. hand-knitted items and other locally crafted items. The Historical Society of Woodstock is located at 20 Comeau Drive. For more Woodstock History, visit Historical Woodstock on Facebook. Beginning this weekend, all Woodstockers of good cheer are invited to enjoy what has become a Woodstock holiday tradition as the Historical Society of Woodstock opens the doors on its annual Holiday Exhibit and Sale. It all begins this Friday evening, December 4 from 4:00 pm to 8:00 pm and continues on Saturdays and Sundays, Dec. 5, 6, 12, & 13 from 12:00 pm to 4:00 pm. Reflect on past Woodstock holidays through an all-new display of original holiday cards crafted by a number of Woodstock’s most noted artists. This year’s exhibit also offers special tribute to the work of Woodstock artist Marianne Appel and a recently donated collection of her work, including charming handmade toys that will delight children of all ages. In addition to the holiday exhibit, HSW’s annual sale offers a variety of local items that will incorporate “Woodstock” into your holiday gift giving. In addition to a complete line of local history books, Woodstock maps, DVDs and CDs, visitors will also find tins of homemade cookies prepared from the "famed" HSW Cookie Collection cookbook, locally produced maple syrup, handmade aprons, afghans and mittens. The sale also offers Woodstock-themed note cards, holiday cards, locally crafted jewelry, candles, ornaments and baked goods. And, through your support of HSW’s holiday sale, you are helping to support the preservation of Woodstock’s unique story. This season make sure you include a visit to the Historical Society of Woodstock as part of your holiday plans and take time to remember the joys of holidays past and the possibilities of those yet to come. The Historical Society of Woodstock is located on Comeau Drive, directly across from Woodstock Town Hall. As always, admission is free and parking is available either at the Historical Society or in the Lower Comeau parking lot. 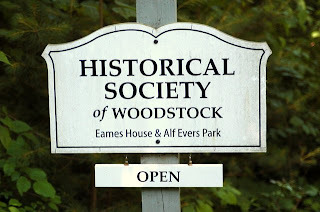 HSW is also online at www.historicalsocietyofwoodstock.org or on Facebook at Historical Woodstock. For more information, e-mailwoodstockhistory@hvc.rr.com. On Friday evening, Sept 17th, the Historical Society of Woodstock will kick of its Fall exhibit, Woodstock - The Way We Were, with an opening reception from 6:00-8:00 pm. All are invited. The exhibit will be open to the public on Saturdays and Sundays from 1:00 to 5:00 pm through October 18th. Woodstock - The Way We Were offers a look back through seldom seen photographs and artwork at the evolution of Woodstock through the twentieth century. From the arrival of the early artists to an era when Woodstock's guiding spirit was part of a generational change, the exhibit examines an ever-evolving landscape that was uniquely Woodstock. Taken from the Historical Society's extensive archives, the exhibit portrays both old and new Woodstock as our town transitioned from a small, country village to a both a physical and spiritual entity that would leave a lasting mark across the cultural landscape. The Historical Society of Woodstock is located at 20 Comeau Drive. Admission to the exhibit is free. For more information on Woodstock History and the exhibit you can go to: www.historicalsocietyofwoodstock.org or visit HSW's Facebook page at Historical Woodstock. Bob Steuding will talk on life of John Burroughs. HSW will host noted local historian Bob Steuding for a talk on the legendary life of John Burroughs. The talk will begin at 2:00 pm. (Note - to accommodate the talk, the exhibit, The Way We Were, will be closed from 2:00-5:00 pm.) Steuding is the author of The Last of the Handmade Dams: The Story of the Ashokan Reservoir, Rondout: A Hudson River Port and The Heart of the Catskills. After the talk, Bob will take questions and sign copies of his books. Steuding is a native of the Catskills and has been writing about them since the 1960s. Suggested donation to the talk is $5.00. All proceeds go to benefit the Historical Society Building Fund donate. It was the movies that brought Wilna and Nan together. Nan’s actor father, Dan Mason, was Wilna’s co-star in a series of 1920s silent comedies that showcased Wilna’s astonishing size—six foot three and three hundred pounds. Nan was nearly six foot tall herself, and the two artists were affectionately known around Woodstock as the “Big Girls.” Wilna and Nan got along instantly—both were free spirits, artistically creative and musically talented. From 1924 on they were rarely apart and together they enthusiastically explored every opportunity for expressing their boundless creative energies, enjoying life for all it was worth. Press Release. Image: Alfred Cohn, Two Women (Wilna Hervey and Nan Mason). Silver bromide print, 6 x 8 inches, 1927, Woodstock Artists Association and Museum. Permanent Collection. Gift of Howard Greenberg. Great book trailer produced by Woodstock Arts will introduce you to Wilna Hervey & Nan Mason ... and "Living Large"! 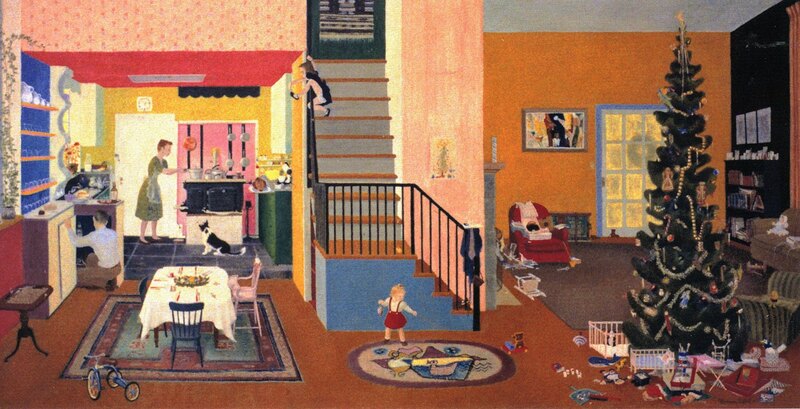 From the 1920s to the ’70s, Wilna Hervey and Nan Mason, an artist couple who spent much of their time in Woodstock, N.Y., not only hosted numerous fund-raising parties but also painted landscapes and portraits, acted in plays and silent films, photographed each other, bought real estate, designed gardens, and made enameled plaques and candles. “They got an astonishing amount done,” the historian Joseph P. Eckhardt said. “Their reaction to the sun coming up was, ‘What do we want to do today?’ ” Their love story is detailed in Mr. Eckhardt’s new book, “Living Large: Wilna Hervey and Nan Mason,” published byWoodstockArts. Mr. Eckhardt is also affiliated with the Betzwood Film Festival at Montgomery County Community College in Blue Bell, Pa., which will screen a selection of Hervey’s films on May 9. Nan Mason took this photo of herself and her partner Wilna Hervey in 1971. Hervey, like Mason, was about six feet tall, and was typecast in slapstick movies, playing a befuddled strongwoman who could hoist trolleys, train tracks, telephone poles and clotheslines, “breaking everything but a sweat,” Mr. Eckhardt writes. The couple remained devoted to each other through their many career phases, in an artists’ colony not known for stable relationships. “They were kind of conventional in an unconventional community,” he said. On June 12, an exhibition featuring the women’s artwork, Valentines, candles and home movies opens at the Historical Society of Woodstock. 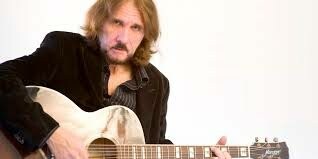 Woodstock singer-songwriter Tom Pacheco will headline a benefit concert for the Historical Society of Woodstock. R.J. Storm and Old School Bluegrass Band, from Beacon, NY, will open for Tom. Pacheco will be singing songs from his vast repertoire and possibly from his latest CD, Boomtown. R.J. Storm and Old School have performed their energetic bluegrass music all over the Northeast. They have supported or played with such acts as Pete Seeger, Tom Chapin, Tom Paxton and Bill Keith, among many others. Expect a standard-packed concert. The benefit will take place at First Church of Christ, Scientist, Woodstock, 85 Tinker Street. Funds raised will go towards the Society’s ongoing building campaign. In addition, there will be a silent auction of music-related music memorabilia. Admission is $20. The doors will open at 7 p.m. and the concert will begin at 8 p.m. Light refreshments will be available. For more info call 845-679-8111. Thanks go to HappyLife Productions, Jarita’s Florist, Not Fade Away Trading Company, Woodstock Music Shop, Heyer Water, Overlook Mountain Bikes, River Radiology, Golden Notebook, Mowers Saturday-Sunday Flea Market, for support of this event. 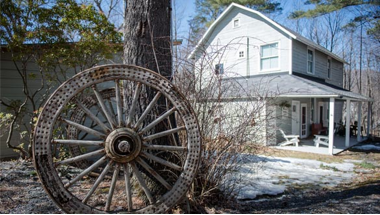 In addition to its current exhibit, Living Large: Wilna Hervey and Nan Mason, the Historical Society of Woodstock will offer a unique workshop conducted by Violet Snow, titled, "Ancestor Interviews" on Sunday June 28 at 3:00 pm. The workshop will use a collaborative process to help you explore relationships with your ancestors. Participants will select an ancestor (either a blood relative or someone of personal significance—as long as they're dead), the group will ask you questions about the ancestor and then, a member of the group will take the role of the ancestor so you can have a conversation with her or him. There is something about directly addressing a forebear—even in the form of a stand-in—that brings our feelings to the surface and helps us make a profound connection with the past. Violet Snow is a freelance journalist who writes for the Woodstock Times and has contributed to Civil War Times, American Ancestors, and many other periodicals. Coming from a family of packrats, she has published many articles based on diaries, letters, and other memorabilia preserved by her ancestors. She is currently writing a book about her great-great-grandfather's Civil War diary. The cost of the workshop is $10.00, which will go to the Historical Society's building fund. Admission to the exhibit, which is open Saturday's and Sunday's from 1:00 - 5:00 pm, is free. The Historical Society of Woodstock is located at 20 Comeau Drive. with roving minstrels, refreshments and exhibit opening. Museum talk "From the Podium: In Person"
The collection of artifacts and writings has lived in a series of local buildings, settling in the Eames House on the Comeau Property in the 1980s. The HSW is seeking to raise $60,000 to upgrade the historic building by putting in a much-needed ground-floor bathroom, a small kitchen, and other improvements. An outreach letter to members and local businesses has already gleaned a third of the required monies. The fundraising drive will continue over the next few months with a series of events, including a wine-tasting at Oriole9 on May 2. “We’d like to break ground in the spring,” said Heppner. Approvals are already in place from the town board, planning board, Comeau Stewardship Advisory Committee, and Woodstock Land Conservancy, but more money is needed. A 12-foot by 16-foot one-story addition will include a handicapped-accessible bathroom and a small kitchen for preparing snacks to be served during openings and other events. The exterior of the addition will be clad in the same style as the rest of the building. Other improvements will include updating the electrical system, installing better lighting in the exhibition room, and shoring up the foundation, which has had water issues. The all-volunteer board and members have already conducted grassroots funding efforts, including cemetery walks, bake sales, handmade items sold for the holidays, and the production of a picture book entitled Legendary Locals. The next round of fundraising events will begin on Saturday, April 4, as wilderness guide Dave Holden leads a hike at California Quarry. Hikers will meet at the Andy Lee Field parking lot, by the Community Center on Rock City Road, at 10 a.m. The $10 donation will go to the building fund. The May 2 wine-tasting will be conducted by two experts, Dr. David Baggett and Tina Grill, who met in 1972 while working at a summer camp on Sawkill Road. Baggett taught wine evaluation at Modesto College in California, produced and judged commercial wines, and established and managed the college’s 14-acre vineyard. Grill, a retired art teacher, was a sensory analyst at E & J Gallo Winery in Modesto. The couple currently live in Woodstock. “Dr. Baggett is in a wheelchair, so he’s excited about helping to make our building handicapped-accessible,” said Deborah. Baggett will lecture on the wines offered for tasting, and hors d’oeuvres will be prepared to go with the selected wines. The event will be sponsored by New York City attorney Kathy Crost, who grew up in Woodstock and has become involved in the HSW. Attendees will receive a wine glass with the Society’s logo. The wine-tasting will be held from 6:30 p.m.-9 p.m. on Saturday, May 2, at Oriole 9, 17 Tinker Street, and will cost $30. Ars Choralis, the highly praised Woodstock choir, will celebrate its fiftieth anniversary with a concert at the Eames House on Saturday, May 23, at 2 p.m. “Merry Madrigals in May,” honoring the choir’s past as a madrigal society, will feature roving minstrels and a display of Ars Choralis memorabilia. On Friday, June 12, at 7 p.m., HSW will open its summer exhibit, “Living Large,” about Woodstock artists Nan Mason and Wilna Hervey. Over six feet tall, Hervey was a silent film star who appeared in shorts based on the Toonerville Trolley comic strips. She had studied at the Art Students League in Manhattan and in Woodstock. After meeting Mason, a painter and the daughter of her co-star, Hervey gave up her screen career to live with Mason in Woodstock. On Saturday, June 13, at 2 p.m., there will be a book-signing by Joseph P. Eckhardt, author of a book about Mason and Hervey, also entitledLiving Large. The fall exhibit will present seldom-seen photos of old Woodstock from slides and glass negatives. HSW members are restoring the pictures, now that technology is available to print them easily. Other events in the works include Sunday afternoon lectures at the Eames House and concerts at the former Art Students League building, now the Christian Science church. By the way, many of the essays written by those early HSW members were published as booklets and have been kept in print by the present Society. Mower and the Heppners are among the members who continue to research and write volumes on Woodstock history, all of them available for purchase at the Eames House. The Historical Society of Woodstock museum, located at 20 Comeau Drive, is open to the public on weekends in summer and fall and during scheduled events year-round. The archives are open to researchers by appointment. For information, or to make a donation to the building fund, seehttp://www.historicalsocietyofwoodstock.org or contact Richard and Deborah Heppner at 845-679-2143. Checks may be mailed to PO Box 841, Woodstock, NY 12498.